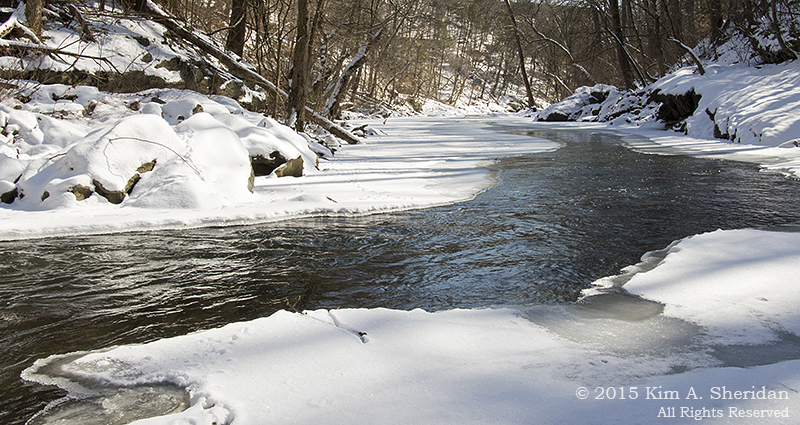 Since we began exploring the Wissahickon Valley earlier this year, I knew it would be a wondrous place in the snow. So I’ve been waiting. Alas, unlike last winter, the snows have been late to come, and meager. More waiting. 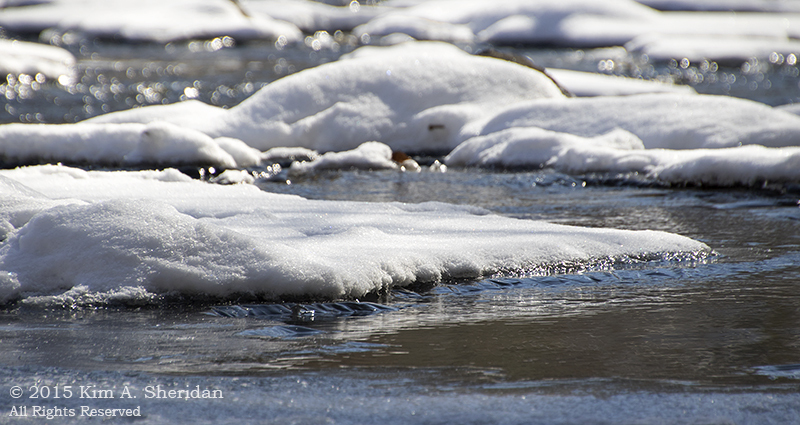 In the midst of a severe cold snap, we finally got a few inches of snow, followed by a crisp blue sky day. At last! No more waiting! 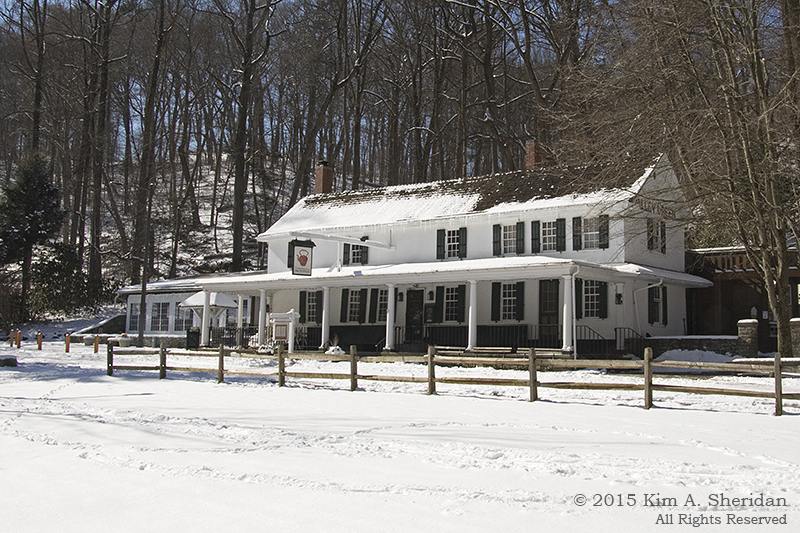 Valley Green Inn. 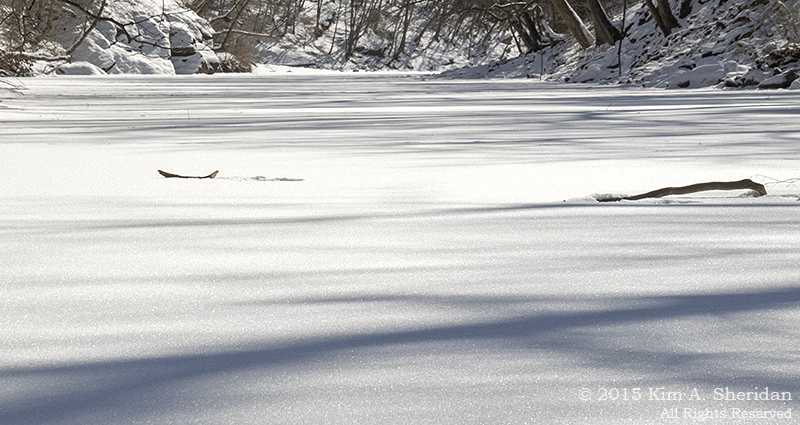 *SIGH* There goes Don, straight onto the ice in the middle of the stream, without a thought for his own safety. He’s old enough to know better. I’m old enough to know better… than to go first. 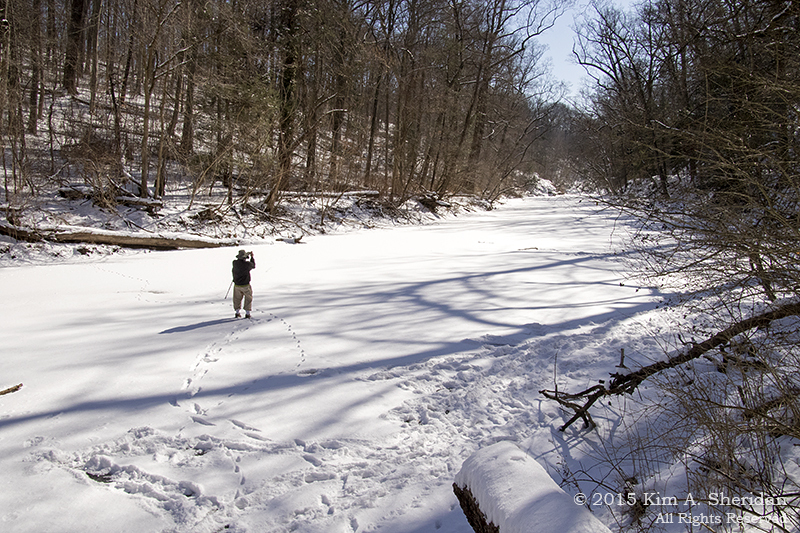 I let Don test the ice, clamber down the steep and slippery stream banks. If he survived, then I followed. Do you think I’m going to let him get all the good shots? 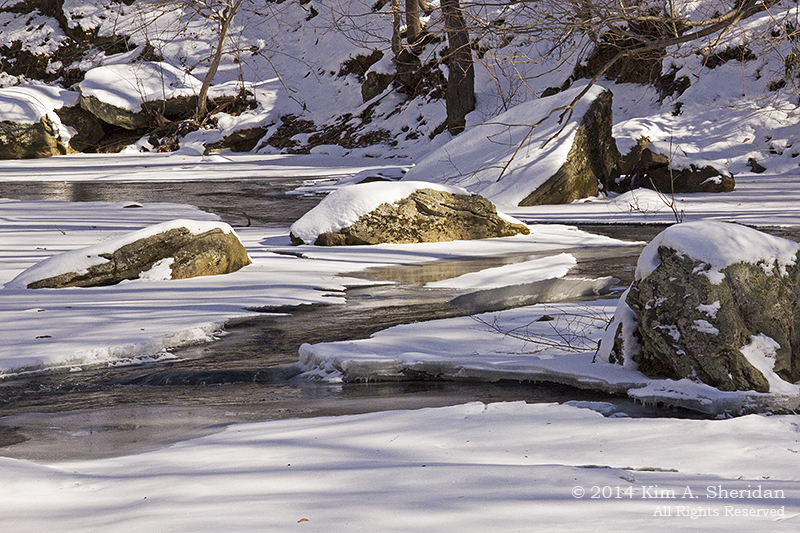 Wissahickon Creek, down on the ice. In winter it’s a marshmallow world. 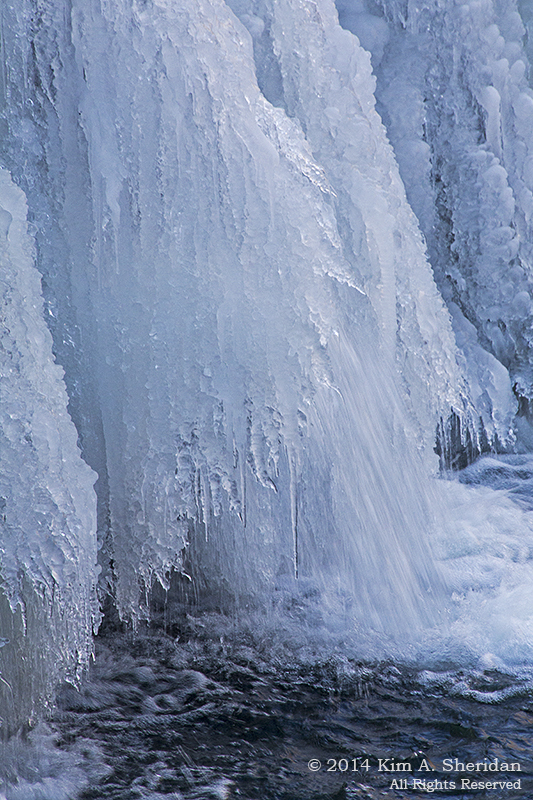 The Winter Queen, beautiful and imperious, does not always condescend to trifle with us in person. 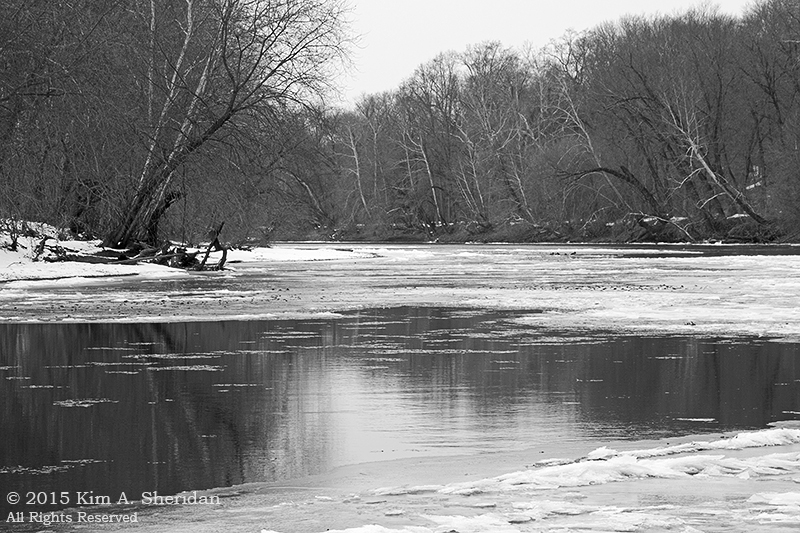 Last year we were bound in her glacial grip, locked in snow and ice for weeks at a time. This year Her Majesty’s attention has been drawn elsewhere, and she has delegated her duties here to her henchman, Old Man Winter. 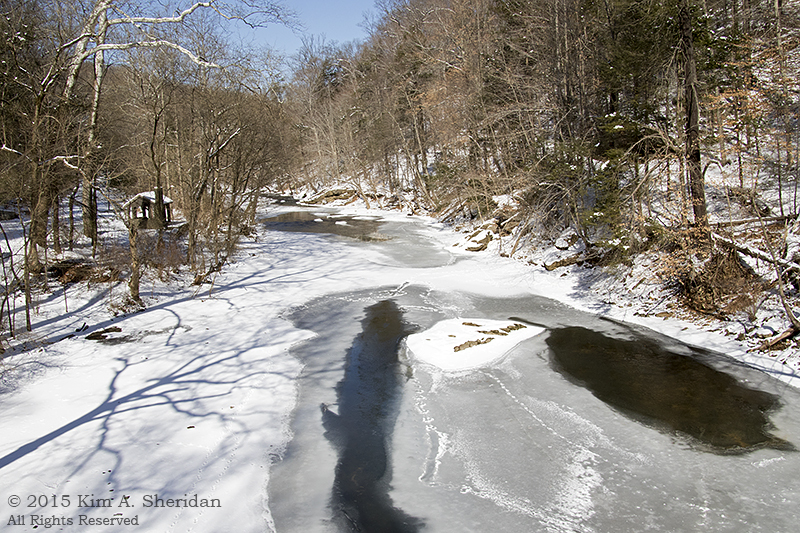 Old Man Winter has an artist’s fickle temperament; warm days follow cold, and snowfalls are light. Not that we escape his touch. 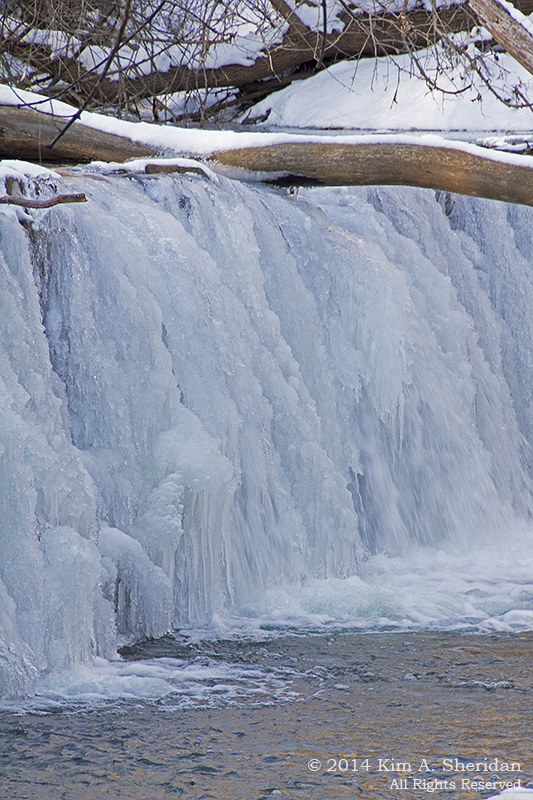 Rivers freeze, trees shiver when he passes by. His palette is white and gray, and his brushes are the biting winds that accompany the most frigid days. 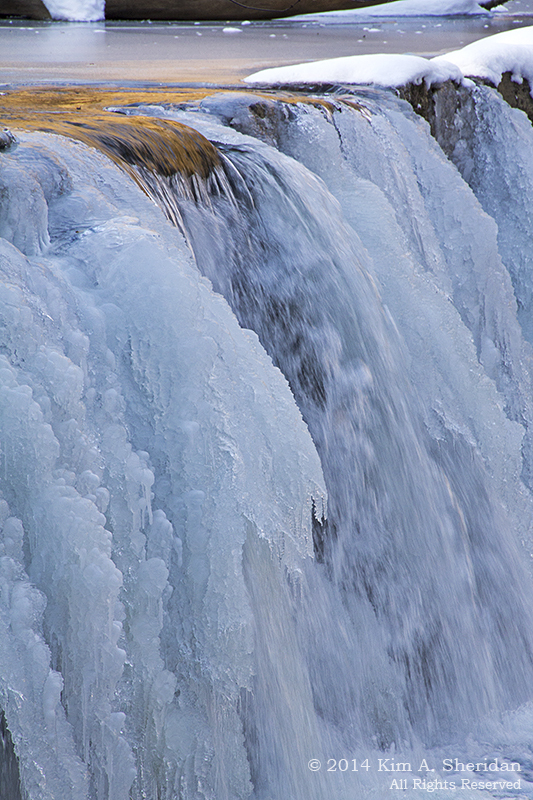 See how he blows water into ice! 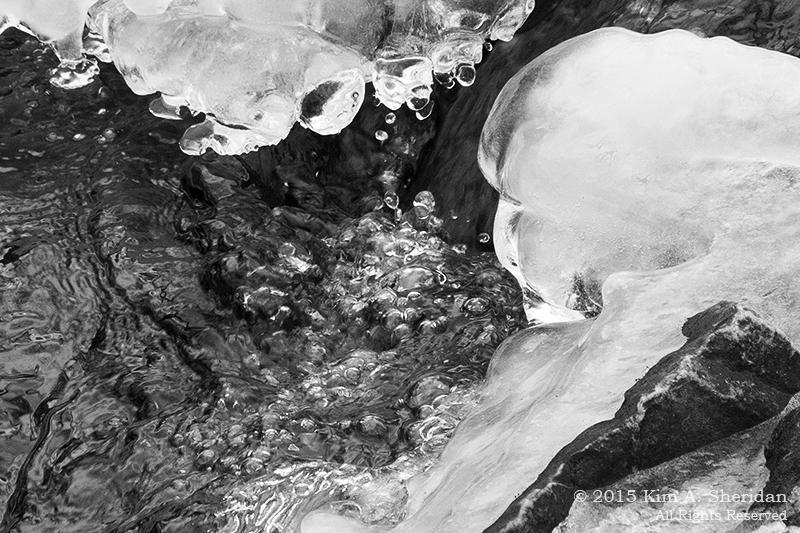 Islands in the stream, bearing not palm trees, but ice blocks and frozen stalactites. 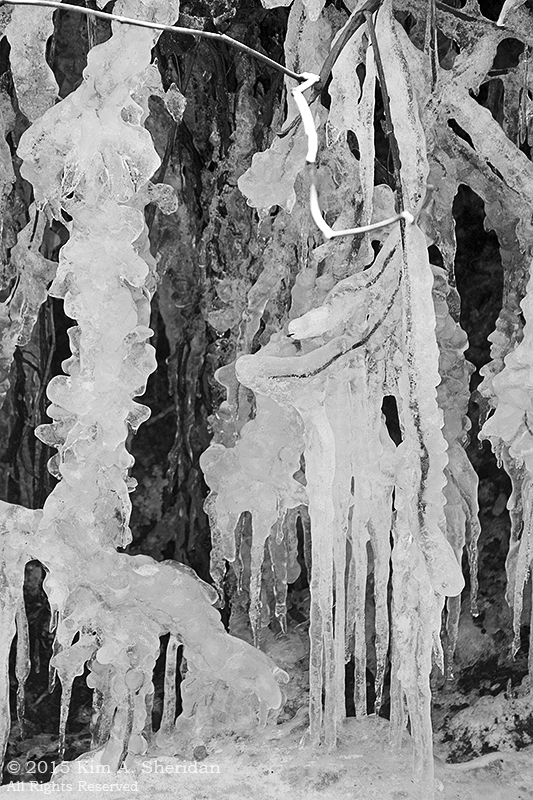 Or dress twigs in chunky nuggets like rock candy on a string. 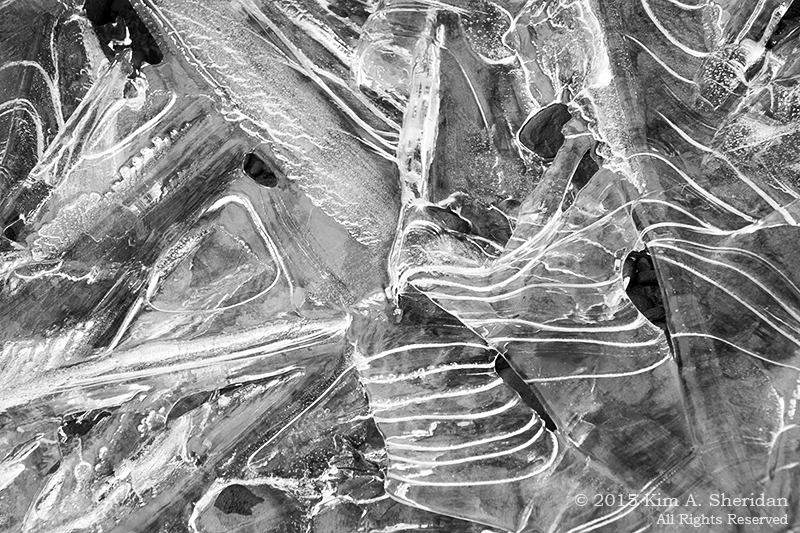 Old Man Winter paints in abstractions made of seemingly random lines, textures and patterns. Look! Old Man Winter is feeling frisky! On a sunny day, even the old master is tempted to reach for a spot of color. 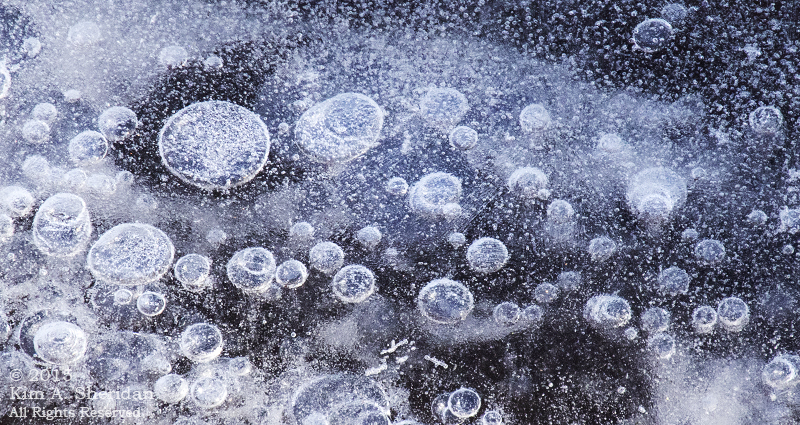 In a playful mood, he blows ice bubbles in cobalt and blue. Can Lady Spring be far away? 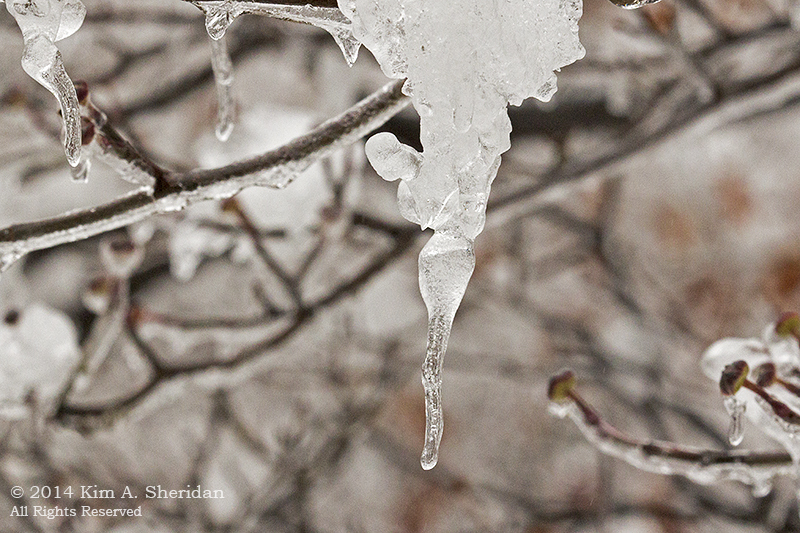 The old cliché says that the Inuit have fifty different words for snow. 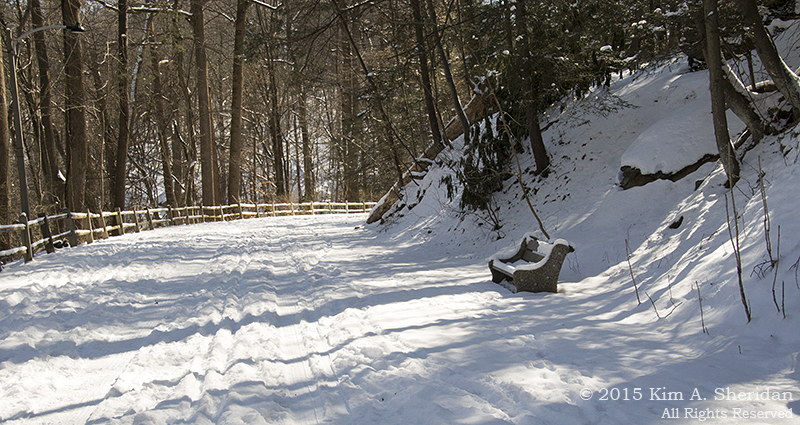 Around here this winter we have come up with some words of our own, none fit for polite company. 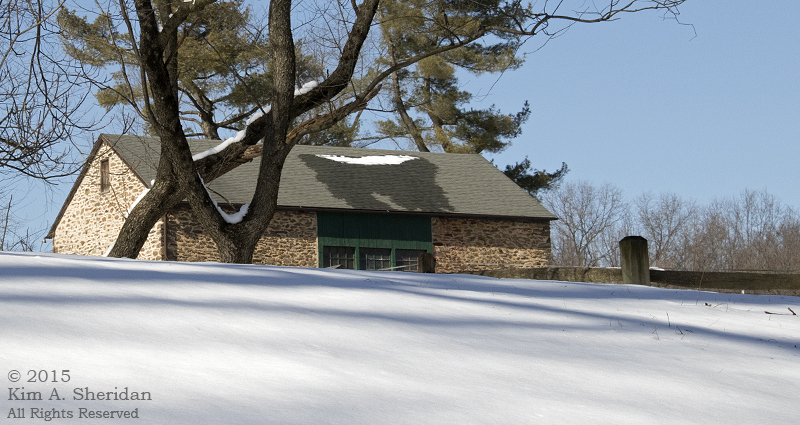 Philadelphia’s average snowfall is 22.2 inches, for a whole winter. 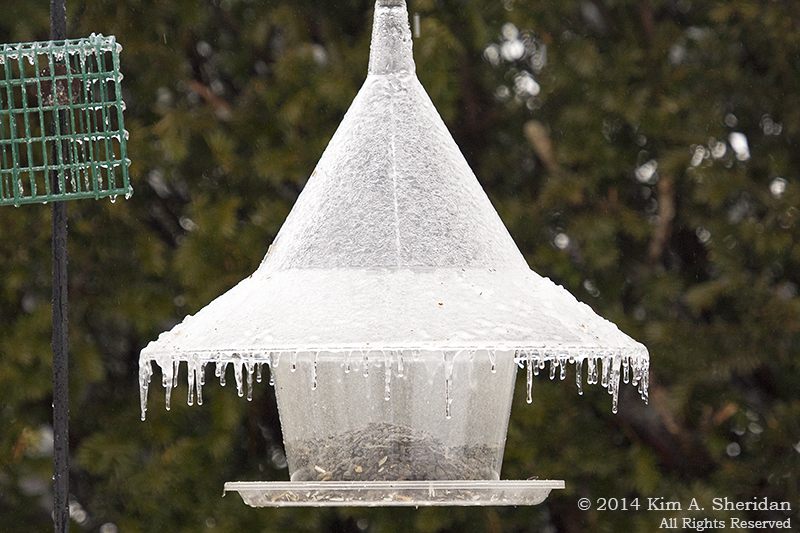 So far this year we’ve had 58.4”, and there are still four weeks until spring. 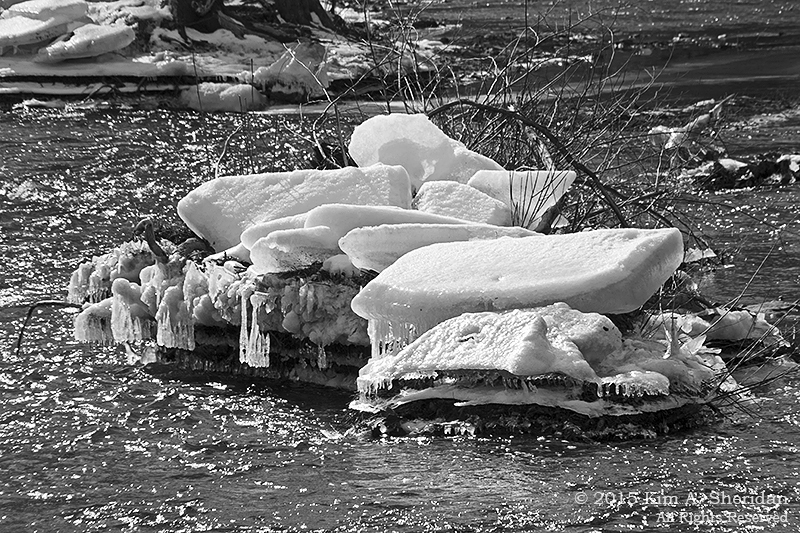 All that snow, combined with a long stretch of sub-freezing temperatures, has created some magnificent ice formations, especially near moving water. 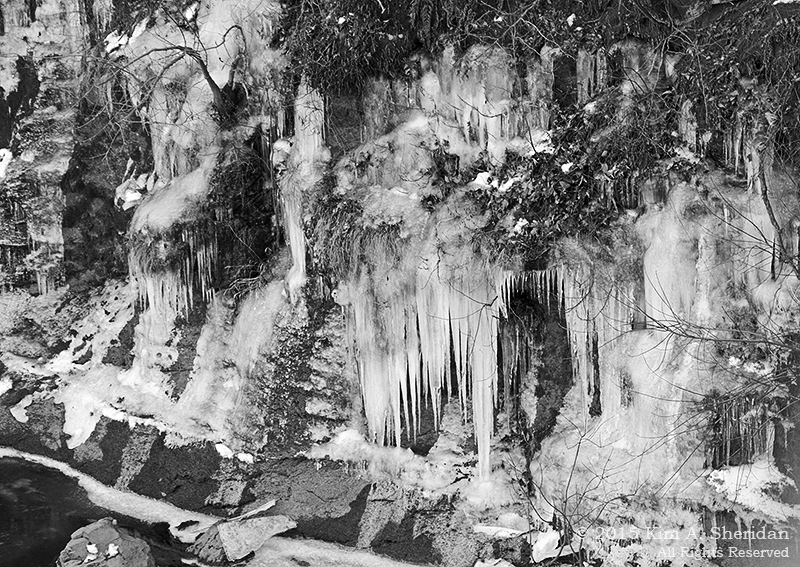 Dripping moisture builds strange sculptures on Ridley Creek, above. 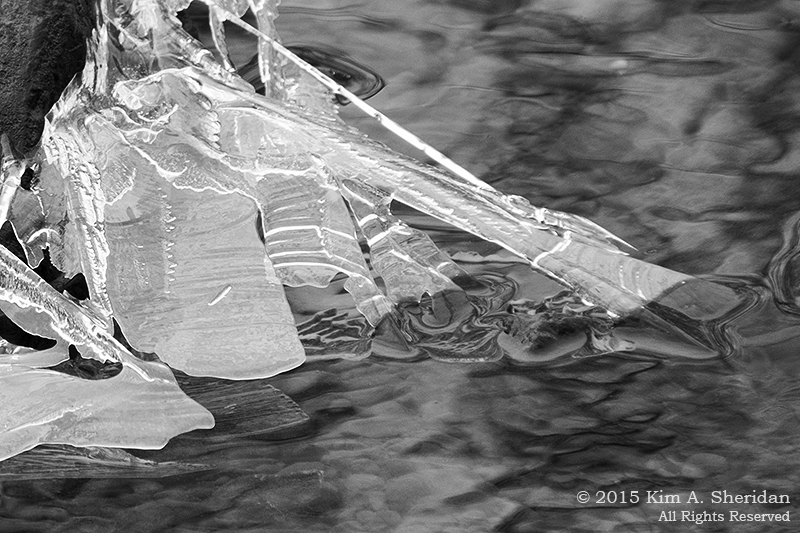 Intricate patterns etch cold surfaces on Crum Creek, below. Hoar frost on a leaf in Texas. 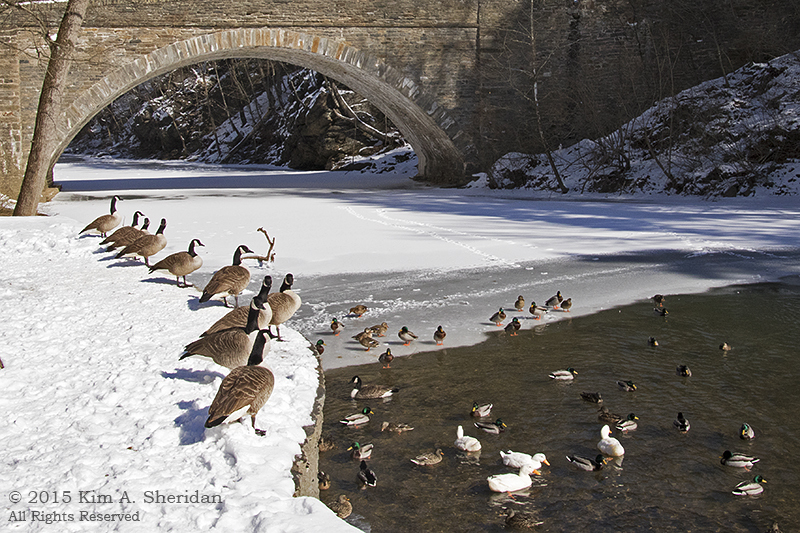 Loyal readers of The Wild Edge will remember this photo from our Ridley Creek geocaching adventure. 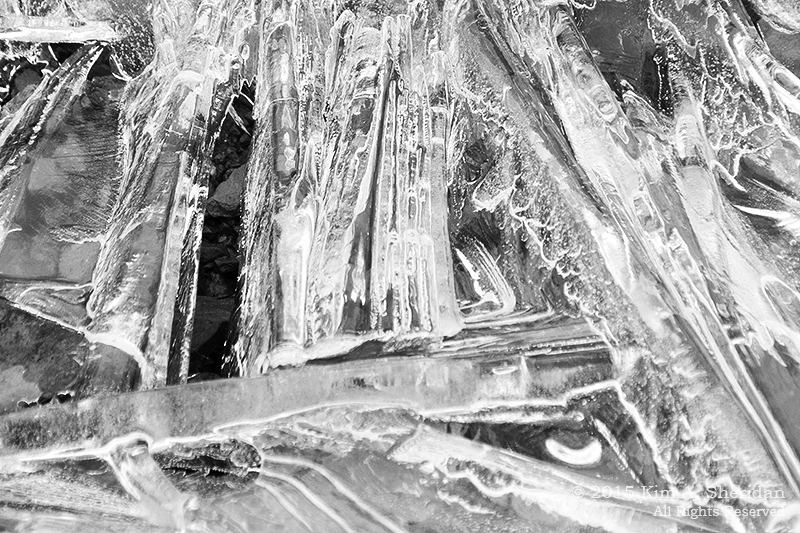 This is called “needle ice”. 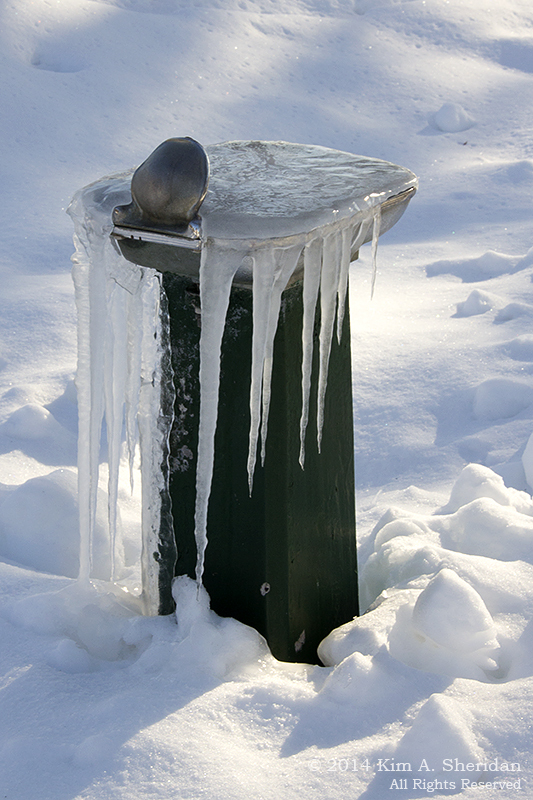 It forms when the air temperature is below freezing, but the ground temperature is above freezing. Water forces its way out of pores in the ground by capillary action. When it reaches the air, it freezes. 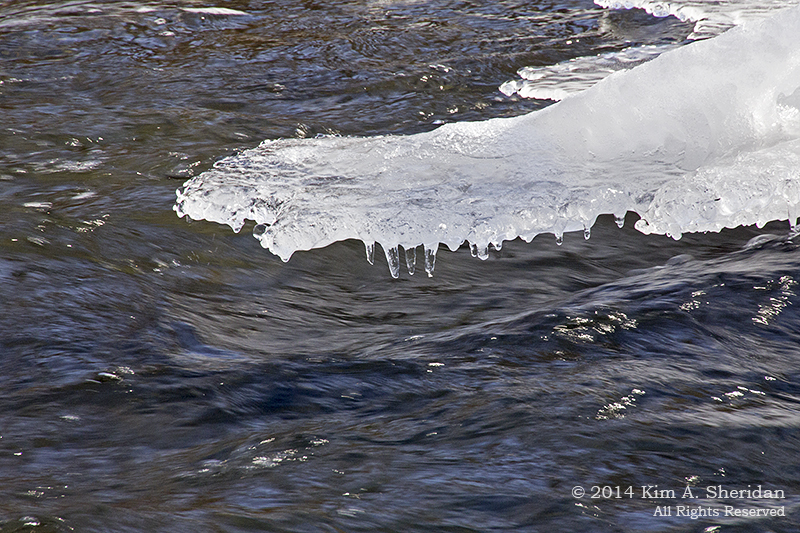 As more water keeps pushing out behind it, it forms into a growing column of ice. 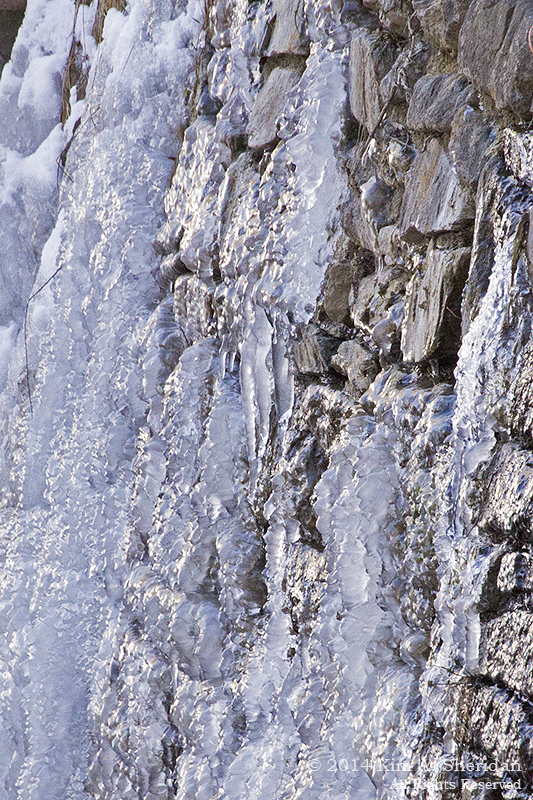 Needle ice is most common on steep slopes with seeping ground water, which is exactly where we found it. 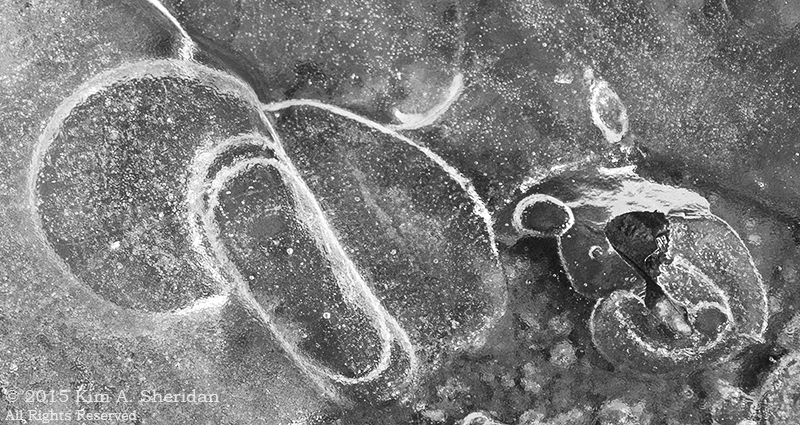 Some ice formations are man-made. 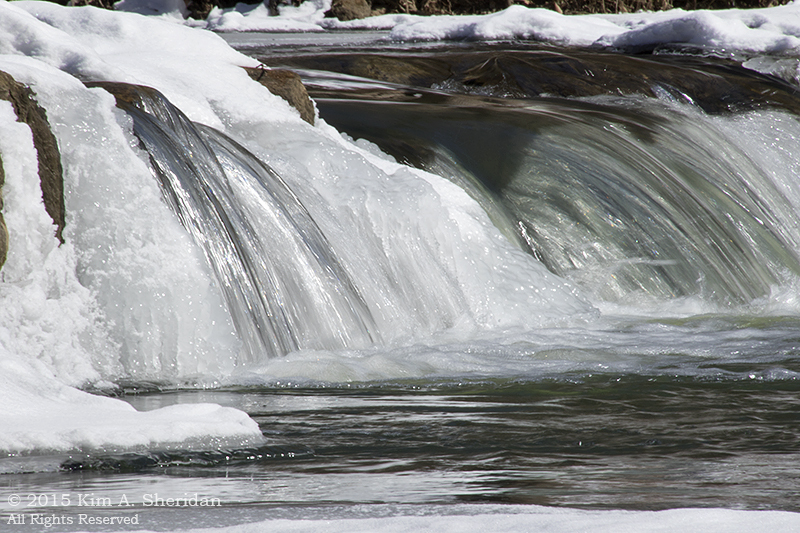 Bubble-wrap shaped ice on the wall of the Valley Creek dam, Valley Forge National Historic Park. Whoops! Who left the water running? 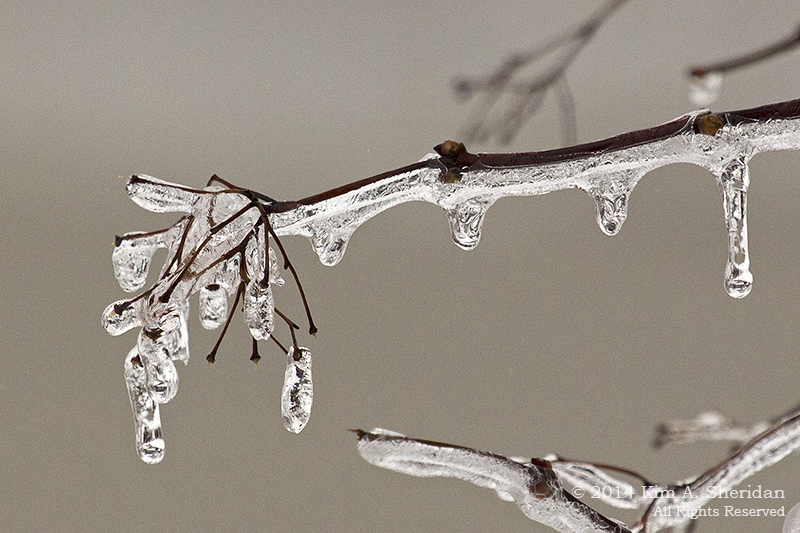 FUN FACT: Snowflakes form when water vapor condenses into ice. 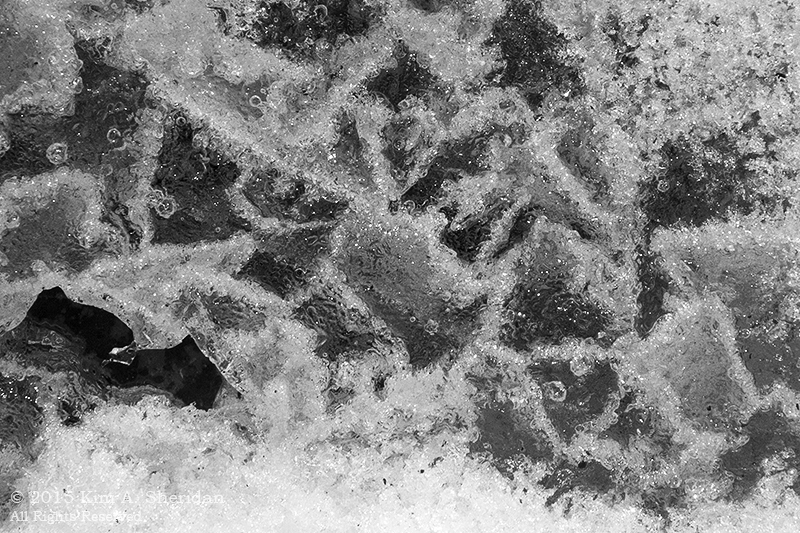 Snow crystals all start as simple hexagonal prisms. 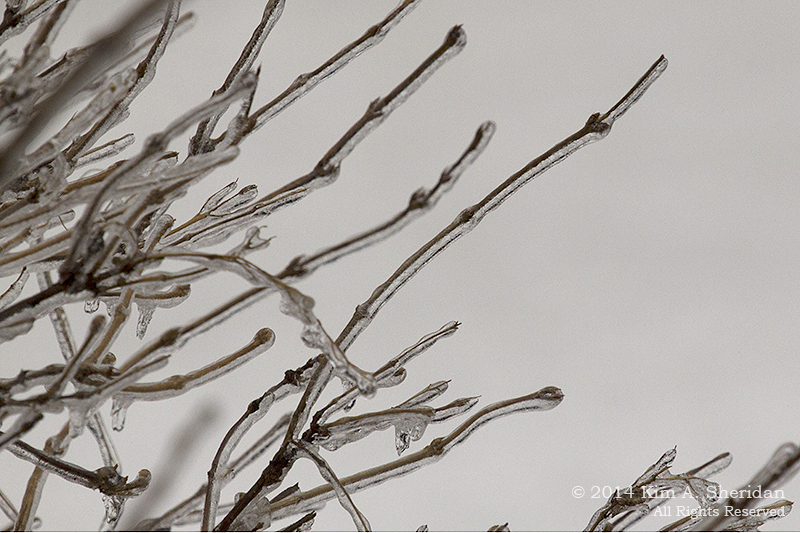 But as more water vapor condenses onto them and they continue to grow, they begin to grow branches. This creates an amazingly large variety of snowflake shapes, including columns, needles, plates, and dendrites. 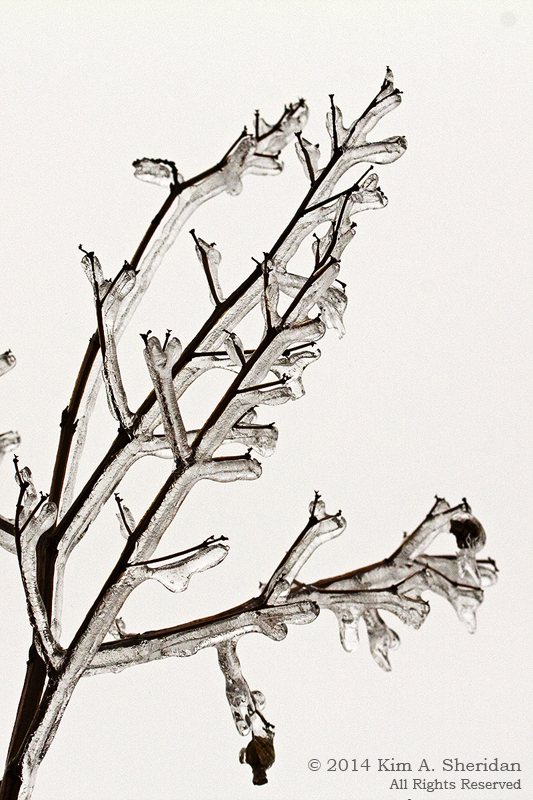 The classic six-armed shapes with side branches, like we cut from paper in school, are stellar dendrites. Stellar dendrites with an abundance of side branches are called fernlike stellar dendrites, for their resemblance to ferns. 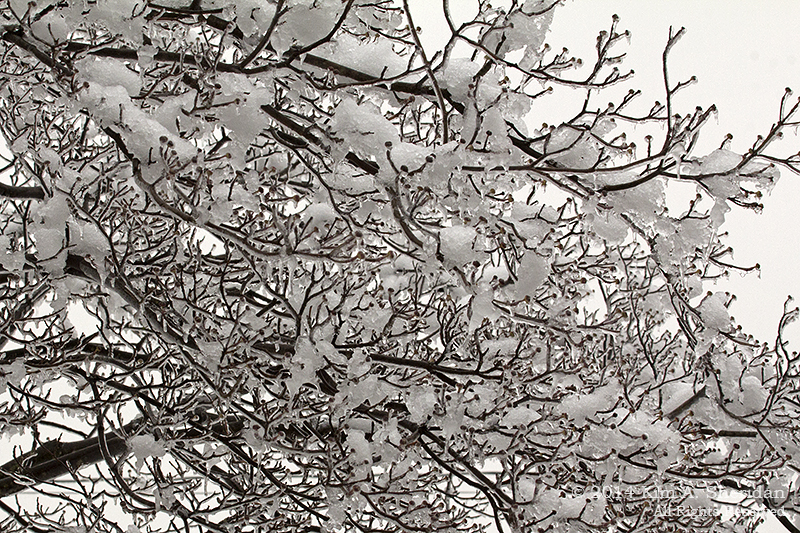 The dry powdery snow we had in January showed off several different snowflake shapes to good advantage. Which shapes do you see here? FUN FACT: What color is snow? 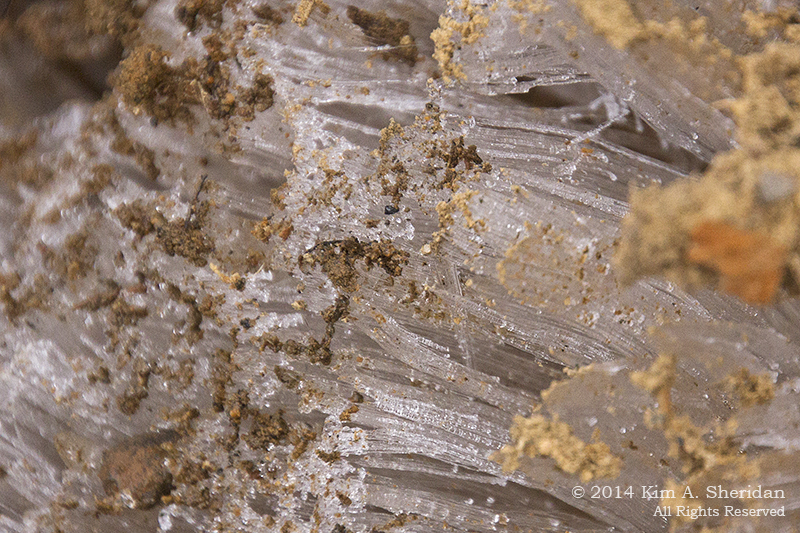 Actually, snow crystals individually look clear. When they get together with their friends, the incoming light is reflected by the crystals and bounces around before scattering back out. Since snow generally scatters all wavelengths equally, it usually looks white. But, it also happens that red wavelengths are sometimes absorbed by the snow, making the snow look blue or aqua. 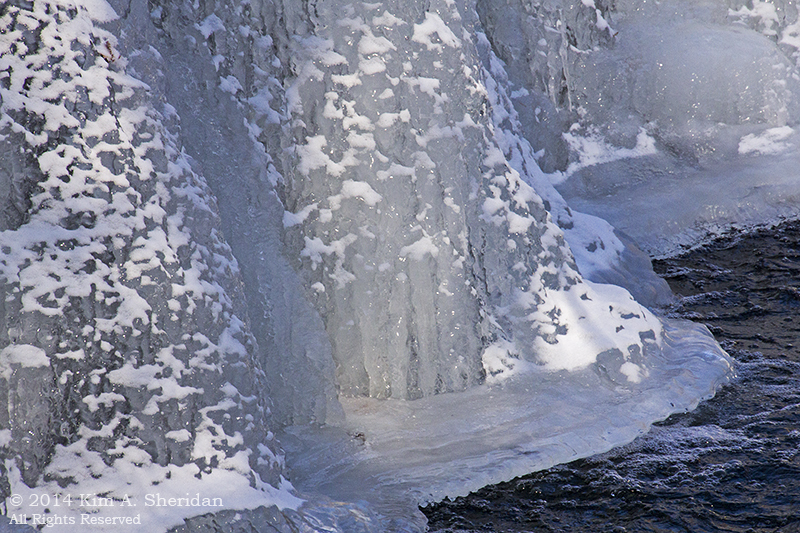 The deeper you look into a hole in a snow bank, the bluer it will appear. Since heavy, wet snow absorbs a lot of red light, we’ve seen a lot of blue snow in February. 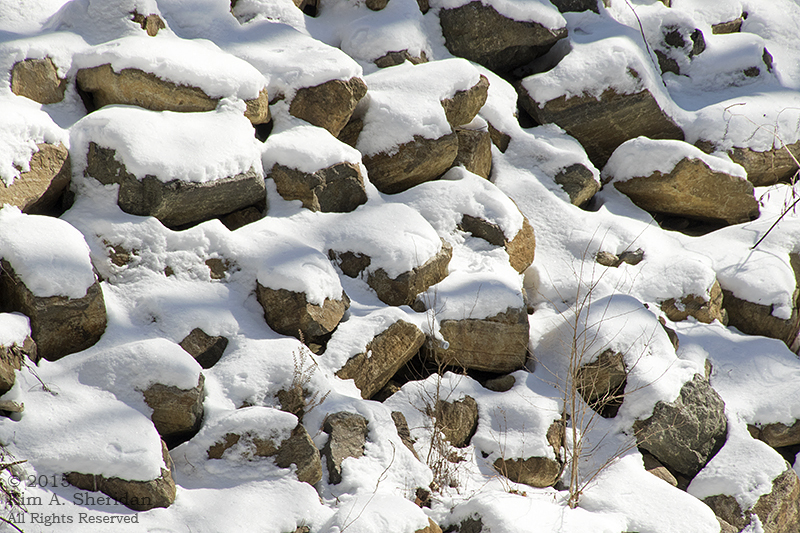 This is a close-up of a snow boulder left by a snow plow. 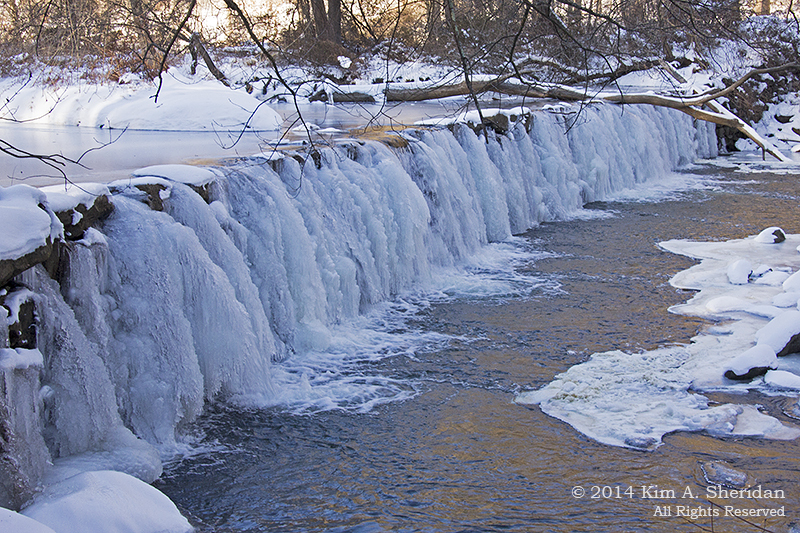 Also resplendent in shades of blue and aquamarine, the dam on Ridley Creek at Sycamore Mills was spectacular in late January. 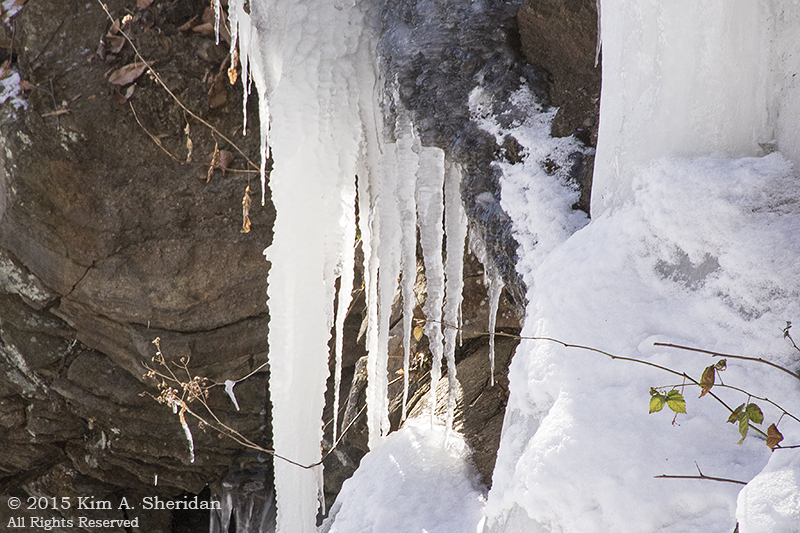 Bubbles and stalactites and little ice daggers, oh my! 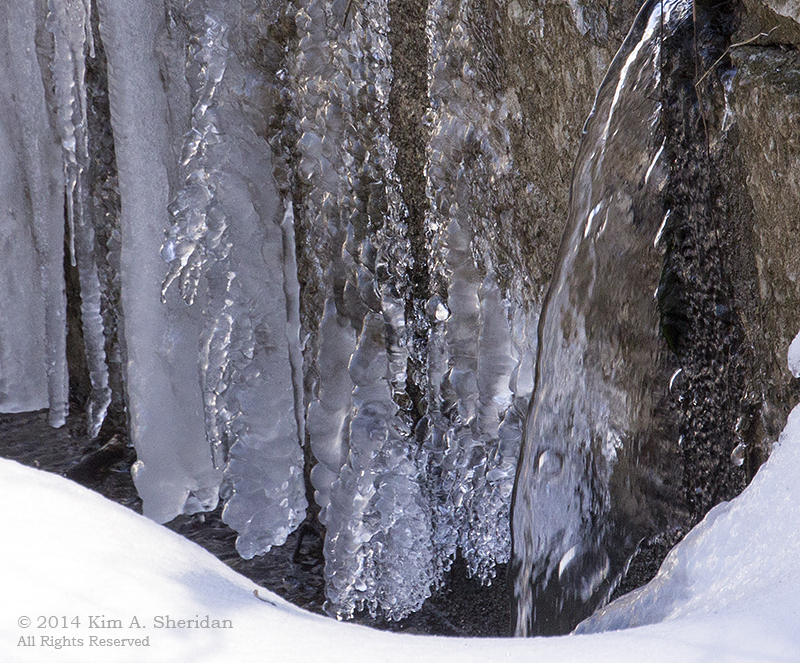 There’s a lot of water flowing behind the spikes and icicles formed here. 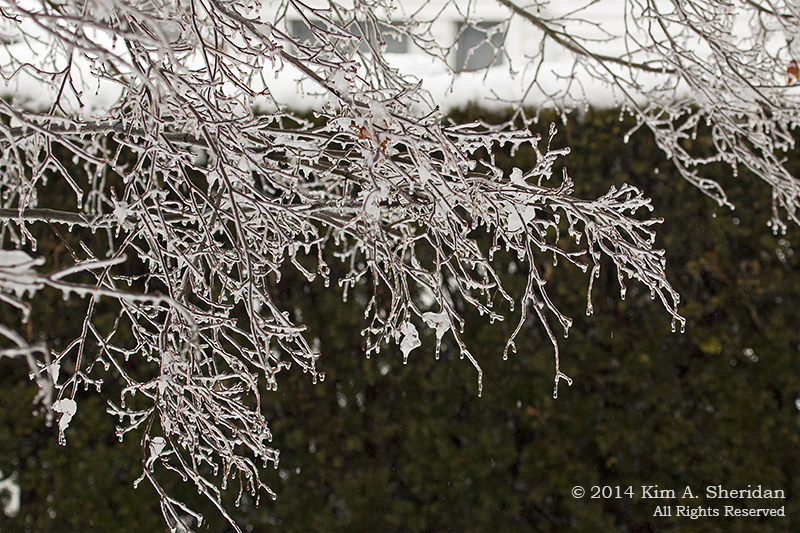 More and more of it froze every day. 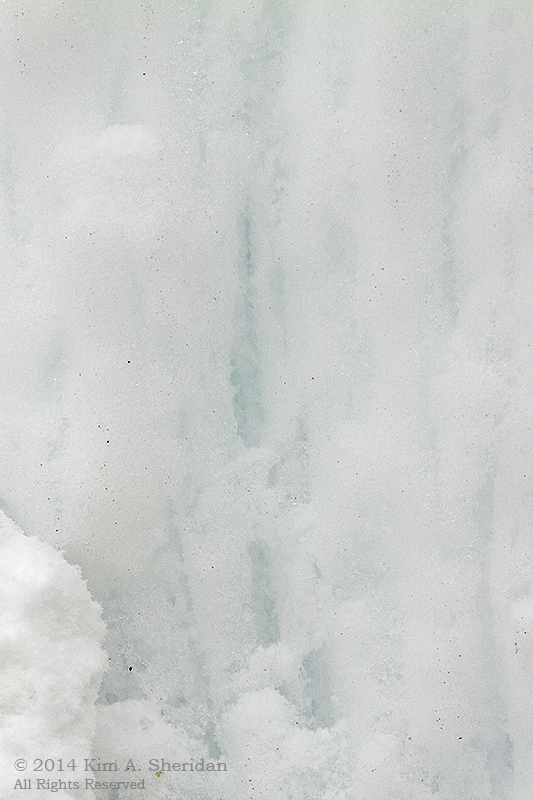 In only one week, the ice would grow into the thick solid curtain seen below, dusted with a recent snowfall. The wonderful thing about weather is that it’s never the same from day to day. Variety is the spice of life, right? 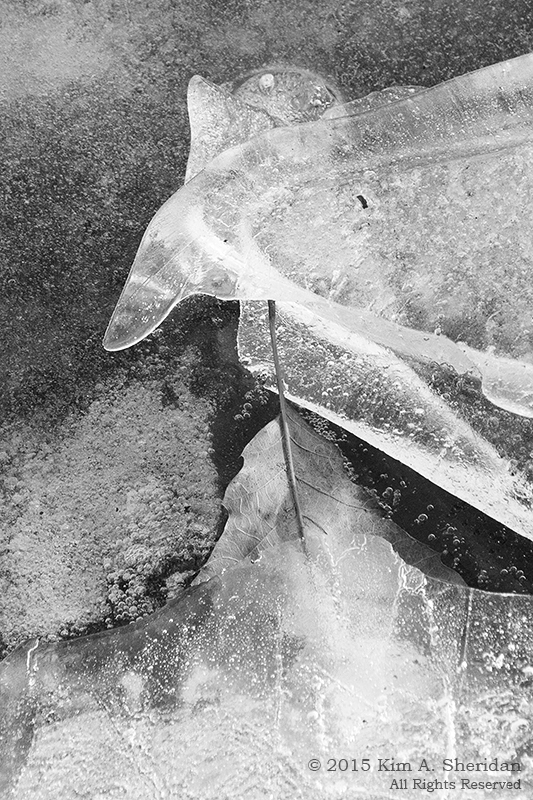 Well, this was one variety we could have done without: ice. 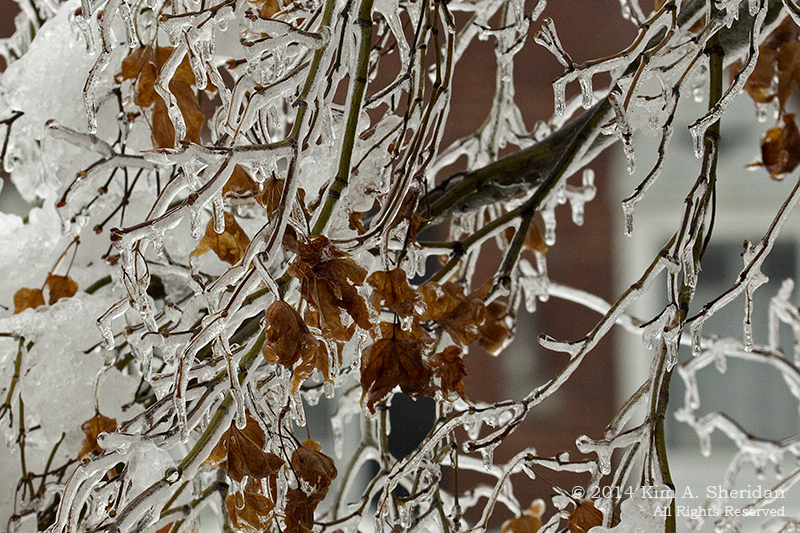 Last week we had a significant ice storm. 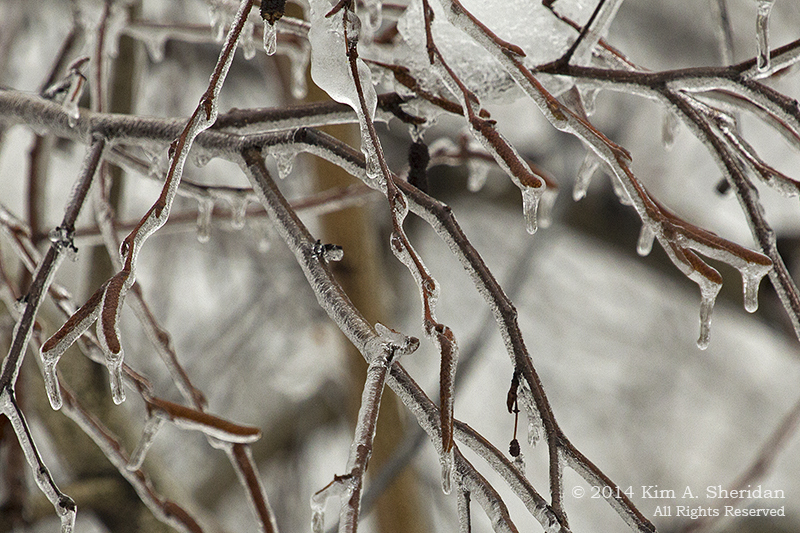 Ice coated the branches and twigs of the trees, and many of the older, larger trees lost limbs or came down completely. Downed wires led to over 700,000 power outages in my area of Pennsylvania, and many homes and businesses were without power for days. It was just hours for me, and I’m counting my blessings for that. 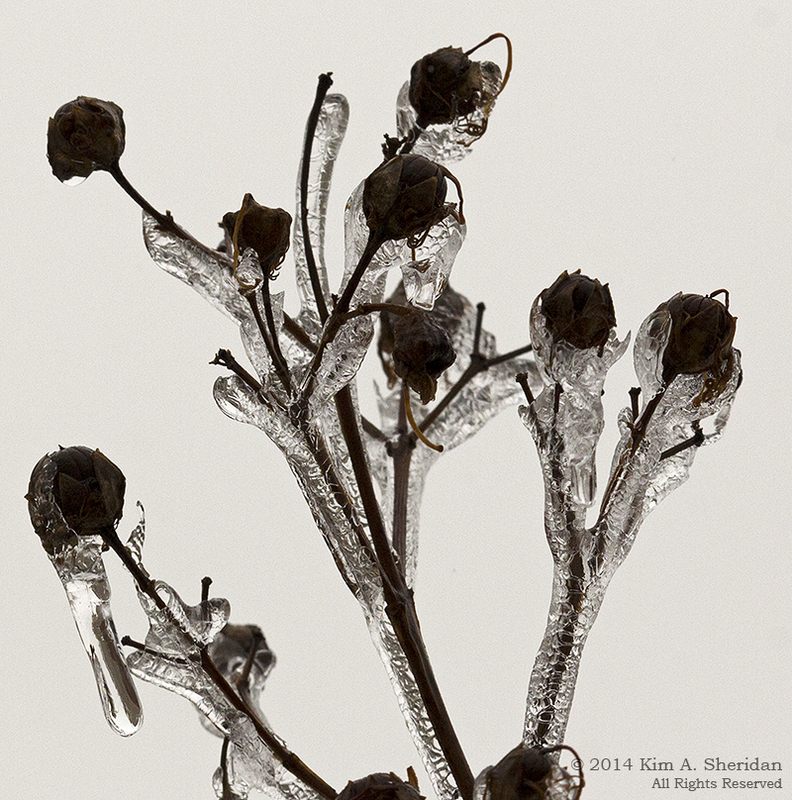 After the rain stopped, I tried to capture the beauty in the beast before the ice melted away. This has been the winter of our discontent. 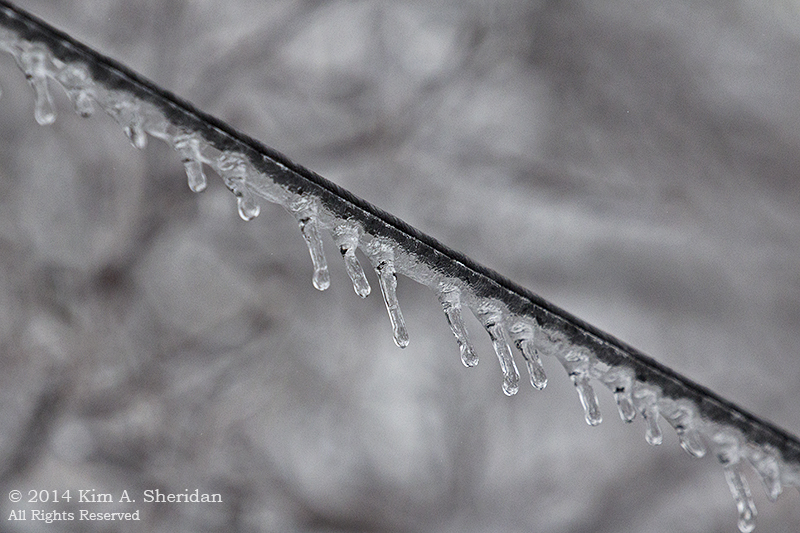 As I write this, a Nor’Easter has once again buried us in snow, and wind and sleet assault my windows. Yet, this too shall pass. 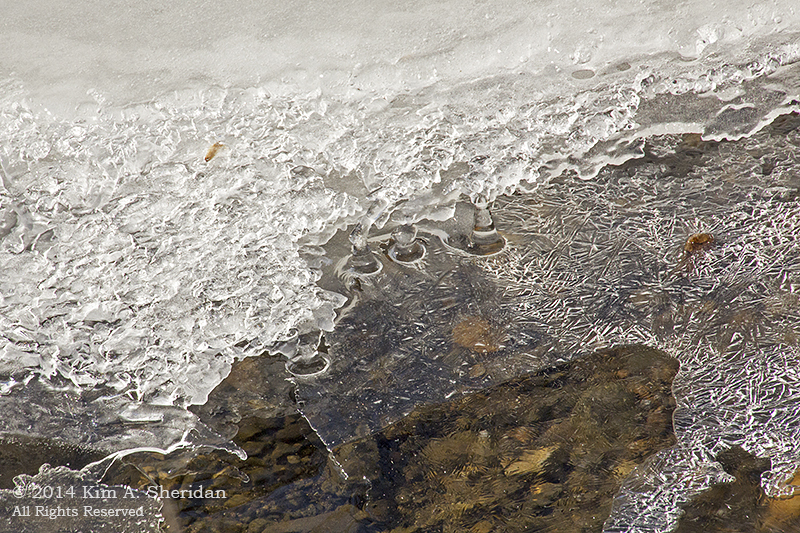 As the ice of last week melted away, this winter will melt into our memories. Underneath the snow my crocuses sleep, well-watered and warm, waiting for the Spring yet to be.